The Market Likes Micron’s Earnings; What Does Smart Money Think? Shares of Micron Technology, Inc. (NASDAQ:MU) are up 7% in after hours trading, after the company reported its fourth quarter and full-year results. For the quarter, Micron earned $0.37 in EPS on revenues of $3.6 billion, beating expectations of $0.33 in EPS and revenues of $3.56 billion. For the fiscal 2015, Micron Technology, Inc. (NASDAQ:MU) earned $2.47 per diluted share on revenues of $16.19 billion. Let’s take a closer look at the semiconductor company and see how the world’s greatest investors view it. In the eyes of most traders, hedge funds are assumed to be underperforming, old investment tools of the past. While there are more than 8,000 funds in operation at present, hedge fund experts at Insider Monkey look at the aristocrats of this group, around 700 funds. Contrary to the popular belief, our research has revealed that hedge funds have lagged in recent years because of their short positions as well as the huge fees that they charge. However, hedge funds managed to outperform the market on the long side of their portfolio. In fact, the 15 most popular small-cap stocks among hedge funds returned 118% since the end of August 2012 and beat the S&P 500 Index by 60 percentage points (see more details here). “We are pleased to report Fiscal Year 2015 results that include revenue of $16.2 billion, $2.72 in non-GAAP earnings per share, and $2.3 billion in dilution management activities, including convert retirements and share repurchases. While fourth quarter results were impacted by continued weakness in the PC sector, we believe that memory industry fundamentals remain favorable over the long term,” Chief Executive Officer D. Mark Durcan commented. PC sales have been weak this year as consumers eschew PC’s in favor of mobile devices. Research firm IDC expects worldwide PC shipments to fall by 8.7% in 2015 and ‘not stabilize until 2017’. 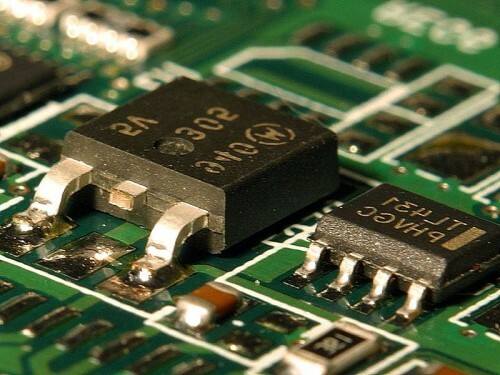 The actual numbers may not be as bad as IDC expects, however, as several research firms recently upgraded PC-dependent semiconductor company Intel Corporation (NASDAQ:INTC), citing strong client business channel inventory checks. The recent launch of Windows 10 should increase PC sales due to pent up demand and the global economy is also still above sea-level as Europe and China eases and the American economy remains strong. Of the around 730 funds we track, 79 funds owned $3.73 billion worth of Micron Technology, Inc. (NASDAQ:MU)’s shares (representing 18.30% of the float) on June 30, down from 100 funds and $6.96 billion on March 31 (see what hedge funds think about Micron). While hedge funds in aggregate are less optimistic, the elite funds are still fans of the company. David Einhorn‘s Greenlight Capital increased its position by 14% to 37.95 million shares, while David Shaw’s D. E. Shaw raised its stake by 58% to 9.01 million shares. Seth Klarman’s Baupost Group kept its holding the same at 19.71 million shares.